The bishops of Scandinavia are wrapping up their ad limina visit to Rome these days. Tomorrow will be the last of their six-day program, which included an audience with Pope Francis on Thursday. It is the first time the entire conference met with Pope Francis to discuss the state of affairs in their countries. “One could say that that is my home in Rome. As cardinal one is connected in a special way to Rome, to Peter, the Holy See. And that is why every cardinal has the privilege of a church of his own in Rome. I feel somehow at home here, which is a strange but beautiful experience. The bishops visited most of the dicasteries of the curia, starting with the Congregation for Divine Worship and the Discipline of the Sacraments (pictured above). Prefect Cardinal Robert Sarah encouraged them to use the liturgy as an instrument of evangelisation and to promote its appreciation. Archbishop Arthur Roche, the secretary, lauded the high standards of the translations of the liturgical texts into the various Scandinavian languages. Some of the topics discussed were the question of youth and how they may be integrated in the life of the Church, with an eye on the upcoming Synod of Bishops assembly on youth and vocation; but also the situation of migrants, which is especially noteworthy for the Church in Scandinavia, as she grows there thanks to immigrants. Pope Francis also asked about the celebration of the sacraments, vocations, ecumenism and the life of priests in Scandinavia. The bishops and the pope also looked back on the papal visit to Lund, which, the bishops said, left a great impression, among both Catholics and Lutherans. ^On the first day of their ad limina visit, the Nordic bishops celebrated Mass above the tomb of St. Peter, underneath St. Peter’s Basilica. Pope Francis today appointed a new apostolic nuncio to Sweden and Iceland. These two non-adjacent countries will undoubtedly soon be joined by Finland, Norway and Denmark as the new nuncio’s area of operations. The Nordic countries, although they each have their own nunciature in name*, have always shared one nuncio among them. An expansive territory to cover, made even more expansive by the Scandinavian bishops regularly meeting in Germany, it is now under the diplomatic responsibility of no stranger to large distances. Archbishop James Patrick Green, 66, comes to Scandinavia from his previous posting in Peru, where he has been the nuncio since 2012. His other postings include the southern tip of Africa (South Africa, Namibia, Botswana, Lesotho and Swaziland) from 2006 to 2012, and China, where he was Chargé d’affaires, from 2002 to 2006. Earlier in his diplomatic career, he also served at the nunciature in the Netherlands. Archbishop Green was born in Philadelphia, USA, in 1950, and was ordained a priest for the Archdiocese of Philadelphia by its then-archbishop Cardinal John Krol. In 2006, upon his appointment as nuncio to South Africa, Namibia and Botswana (Lesotho and Swaziland would follow later), he was consecrated and named as titular archbishop of Altinum. Archbishop Green is characterised as “accessible, friendly, gracious and impressively capable”, and is credited with creating a stable episcopate in southern Africa. In Scandinavia, with only six serving bishops, he will have rather less chances to do so. The most senior Nordic bishop, Helsinki’s Teemu Sippo, is 69, followed by Stockholm’s Anders Arborelius at 67, and Copenhagen’s Czeslaw Kozon, who is 65. Although a bishop can retire before the age of 75 for health reasons, the expectation is that it will be another six years before Archbishop Green needs to get to work to collect information for a new bishop. The nuncio himself is still nine years away from retirement, so it is possible that he will be reassigned before that, especiallty considering that he never spent more than five years at his earlier assignments. The Catholic Church in Scandinavia is growing, mostly due to immigration from traditionally Catholic countries like Poland and the Philippines. 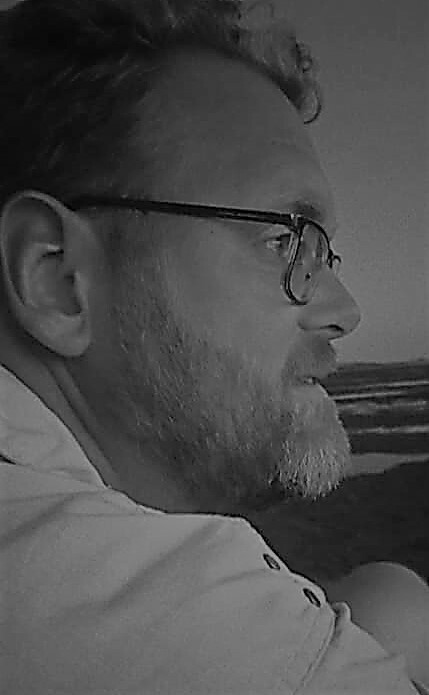 It is still numerically small, though, and exists in highly secular societies: many people nominally belong to the Lutheran church which, until fairly recently, was the state church in most Nordic countries, but most will consider themselves atheist or agnostic. The immigrant population differs in that respect from the native Scandinavians, and this will undoubtedly affect how the Church acts and is perceived. The appointment of a new nuncio was no surprise. Archbishop Green’s predecessor, Archbishop Henryk Nowacki, nuncio since 2012, had already announced his early retirement. At 70, he retires for health reasons. *Finland was the first in 1966 to get a full diplomatic representation in the form of a nuncio, followed by Iceland in 1976. Denmark and Norway followed in 1982, leaving Sweden to change the old offices of the Apostolic Delegation of Scandinavia into the Nunciature of Sweden. The nuncio still resides in Stockholm, in the northern subburb of Djursholm, although the general secretariat of the Nordic Bishops’ Conference is located in Copenhagen. The members of the Nordic Bishops’ Conference – covering the countries of Iceland, Norway, Denmark, Sweden and Finland – have written a pastoral letter looking ahead to Pope Francis’ visit to Lund and Malmö, as well as the state and future of ecumenical relations with the Lutheran church in their countries. They rightly indicate that the anniversary of the Reformation, which will begin with the events in Lund that the Pope will attend, is no reason to celebrate for Catholics. “In 2017 we mark an event which has had great consequences for the Christian faith, in the first place in Europe. In the year 1517 Martin Luther initiated a process which became known in history as the Reformation and which, especially for our Lutheran fellow Christians represents an important moment in the development of their ecclesiastical tradition and identity. But since the Reformation would have been impossible without the Catholic basis, it is appropriate that we, as Catholic Christians, also think about it. That is already expressed in the document ‘From conflict to communion’, the result of dialogue in the Lutheran-Catholic Commission for the Unity of the Church. This tekst is directed towards a common commemoration, which is based on reflection rather than triumphalism. Despite all explainable reasons, the Reformation caused a split in Christianity, which remains painful to this day. In the Nordic countries this split meant that the Catholic Church could only start again after many centuries. That is why the 500th anniversary of the event of the Reformation can not be observed as a celebration in the true sense. Rather it should be recalled in contrition. The process of reconciliation between the Catholic Church and the churches of the Reformation began many decades ago. But we can not tire of striving for the full unity in Christ. At the start of the 16th century, the Catholic Church was in need of reform, something that not only Martin Luther, but also others acknowledged and expressed at that time. But instead of dealing with the necessary doctrinal questions, Christians of different confessions have instead done much harm to each other. At the closing of this year’s Week of Prayer for Christian Unity, Pope Francis prayed for “mercy and forgiveness for the unevangelical behaviour of Catholics towards other Christians”. In Sweden several Lutheran ministers have responded to that and also asked us Catholics for forgiveness. The important questions is now, how we can continue together to come closer together in faith, in hope and in love? We, the Catholic bishops in the north of Europe, want to go on this path of reconciliation with our Lutheran brothers and sisters and do everything to promote unity. The Church must always let herself be converted and renewed by Christ. We are indeed a holy people, but a people of sinners on pilgrimage to eternity. Conversion, contrition and maturing in the faith are important stations on this path. Through the Second Vatican Council, the Catholic Church opened herself to many things that are also important to Lutheran Christians, for example the role of Holy Scripture and the meaning of the priesthood of all baptised. Thus, many difference have actually disappeared. What still divides is, among other things, the sacramentality of the Church, as well as the understanding of the sacrament and the office. As Catholics we believe that the Church is the fundamental sacrament in which the incardinated word becomes present through the sacraments, in order to unite with us in love and transform us in Himself. At the same time we see that many faithful Lutheran Christians become increasingly open to these aspects. A questions that remains pending and which is painfully felt on both sides is that of the common Eucharist. As much as this desired is justified, the unity of the Lord’s Table must also reflect the full unity in faith. 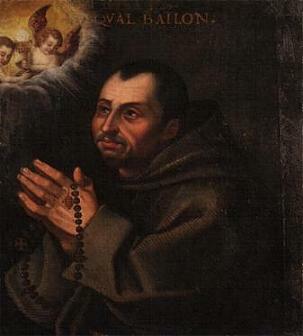 The Petrine office is also difficult to understand for many Lutheran Christians. But the personality of Pope Francis has made it more understandable. Pope Saint John Paul II already invited all non-Catholic Christians to think about other ways of exercising the Petrine office (Ut Unum Sint, N.95). Traditionally, the role of Mary and the saints has also been contentious. But among many non-Catholic Christians the meaning of Mary as the Mother of God and example in faith is being re-acknowledged. Despite the mutual approach in question of doctrine, greater differences in questions of ethics and morality have recently appeared. But even when these make the dialogue in some respects more difficult, it should not be given up. In all ages Christians have formulated teachings to clearly define doctrine, distinguish them from false ideas or to convey them intelligebly. Often such formulations evolved into bones of contention, which for a long time created great frontlines between Christians. The principles of the reformers were similarly divided for many centuries. It is nevertheless fruitful, also for Catholics, to constructively engage with them. The faith is undoubtedly necessary for justification. We share the central mysteries of the faith – for example, about the Trinity, about Jesus Christ, about salvation and justification – with our Lutheran brothers and sisters. We rejoice in this unity of faith which is based in baptism and expressed in the joint declaration about justification. That is why it is our mission to be witnesses of these truths of faith in our secular society. In our Nordic countries, where few practice their faith, it is important to proclaim the good news together and with one voice. Only through Holy Scripture can we receive the full revelation about the salvation which is offered to us in Christ. This revelation in received and shared in the Church. Through the teaching office of the Church this living tradition in Holy Scripture is codified. For us Catholics Church, teaching, tradition and Scripture belong together. In the Church and with the Church, Scripture is opened for us. In this way the faith becomes ever more alive for us. Recently the number of Lutheran Christians who agree with us believe that Scripture and the tradition of the Church are closely connected, has been on the rise. “Everything is mercy”, the saintly Doctor of the Church Thérèse of Lisieux, who can be considered as the Catholic answer to Martin Luther, says. Without God’s mercy we can do nothing good. Without His mercy we can not come to eternal life. Only through God’s mercy can we be justified and holy. Mercy can truly transform us, but we must also respond to this mercy and work alongside it. In the Mother of God, Mary, full of mercy and immaculate, we see how much can God can do in a person. For many Lutheran Christians it is still difficult to agree with this truth. But we also see that many of them are open to similar questions about growth in prater and in holiness. We are all at the same time justified and sinners. As Catholics we believe that we are really sinners; but through the mercy of God we can receive forgiveness of all guilt in the Sacrament of Reconciliation. As baptised Christians we are called to holiness. The Church is a school of holiness. The saints, who we can ask to intercede for us, are shining examples and role models of this holiness. One of these role models is a woman from our countries, Saint Elisabeth Hesselblad, who was recently canonised. She is an incentive to all of us to go the way of holiness more consciously. We see that many Lutherans are also open to the saints, such as, for example, Saint Francis of Assisi and Saint Mother Teresa of Calcutta. In our secularised world we need such witnesses of faith. They are living and credible witnesses of our faith. We know that also in our time many Christians are persecuted for their faith and that there are also many blood witnesses. Martyrdom unites Christians from various churches. We think of all Christians, also in the Middle East, who are persecuted and yet remain true to Christ and His Church. Their example also strengthens us in our faith. Many Christians from these countries have also come to us in the north. it is therefore important that we, all Christians in our countries, maintain, protect and deepen what we share in faith. Then we can also increasingly give and common witness of the risen Lord. Beginning from a perspective of unity and not of division, and promoting what we have in common. At the same time allowing oneself to be transformed by the witness of the other. Committing oneself to the search for visible unity. Rediscovering jointly the power of the Gospel of Christ for our time. Witness together of the mercy of God in proclamation and service to the world. Also when these five imperatives speak of great and not always simple concerns, their message is clear, but only when we devote outself completely to Christ and together rediscover the power of the Gospel (cf. 4th imperative). We are happy and thank God that the Holy Father, Pope Francis, will be coming to Lund on the occasion of the commemoration of the Reformation, to strengthen us in faith. We therefore invite all Catholics to accompany the preparations for the papal visit with their prayer and to participate in as great a number as possible in both the ecumenical meeting in Malmö Arena and the Mass in Swedbank Stadion. In that way we will show both the joy, as Catholics, of being with Pope Francis, and also respect for the identity of our Lutheran fellow Christians, grown from the Reformation. Despite the still existing differences we are convinced, confident in the mercy of God, that ways towards common unity can be found. ^Bishops Grgic, Sippo, Eidsvig, Kozon, Arborelius and Tencer, with Sr Anna Mirijam Karschner CPS, the general secretary of the Nordic Bishops’ Conference. It’s safe to say that the German Synod fathers are scrutinised more heavily by Catholic media than others, and not always fairly, in my opinion. I already mentioned my own misgivings about what Archbishop Koch said in his intervention, but that’s not even remotely the same as accusing him of apostasy and heresy, as some have done. He has a clear understanding about the reality of Catholic life in Germany (which does not differ too much from that in other Protestant/secular parts of Northwestern Europe, and the picture he paints is one we should take seriously. ^A glimpse of the small windowless room where the German circle, the smallest of all thirteen groups, was to meet initially. Cardinal Müller soon invited the group to relocate to the roomier and less stuffy offices of the Congregation for the Doctrine of the Faith. Today, the reports from the Circoli minori, the smaller language groups in which the Synod fathers discussed the first part of the Instrumentum laboris, were published. Because of the aforementioned interest in what the German circle thinks and wants emphasised, I will focus on their report here. In the German circle, led by Christoph Cardinal Schönborn O.P., we have considered and edited the first part of the Instrumentum laboris in an open and good atmosphere. The various views of the participants were enriching and were also perceived as such. In my opinion the work in this group once again shows: diversity enriches. The general style of the text was met with approval. We also agree very much with the given order of the Instrumentum laboris, and with the arrangement in three chapters. It takes up the structure of papers from earlier Synod and conferences, which lead from seeing to judging, culminating ultimately in action. We have, however, also added elements which we think are important. We suggest and ask that a section is added at the beginning of the first chapter, which describes the beauty of marriage and the mission of couples and families, drawing on the concerns and considerations of Pope Francis. Gratefully and with wonderment we notice that marriage is called to take part in the Creation of God and in His work of salvation. Marriage is not just a topic of Catholic faith, but proves to be in the profoundest sense a fundamental desire of man. It shows itself to be remarkably constant across cultural and religious boundaries and beyond all social changes in time. Man desires to love and be loved. Love is the comprehensive and unconditional Yes to another human being – for his own sake, without ulterior motives or reservations. It is also a basic trait of humanity, that love always wants to give itself again. So marriage unfolds in the love of the children and others in the family. So grows the family out of marriage, which radiates in society and Church. Christian marriage is in this way a slice of living Church. We also suggest to say thanks, in these introductory thoughts, to the married couples and families for their great service to each other, to our society and to our Church. We also want to especially thank those who stayed together in difficult times and so became a visible sign of the faithfulness of God. In these introductory words we also want to mention why we as bishops take a stand for marriage and family: We come from families, live like families and take part in the life of the family. In ouir responsibility as shepherds we bishops care for the lives of married couples and families. But we also want to hear about their situations and their challenges and accompany and strenghten them with the loving gaze of the Gospel. In their respective cultural backgrounds family relationships beyond the nuclear family especially offer many kinds of possibilities of support in the raising of children and in family life. They are especially important where the life of the nuclear family is made more difficult, impaired or even destroyed because of migration, disasters or flight, but also because of the effects of job mobility or broken human relationships, In these situations especially the wide net of kinship proves itself as a valuable aid. Both of these examples should indicate that we have accepted the text presented to us in a positive way, but have also wanted to develop and add to it. I would like to suggest one comment for the perception and evaluation of different cultural realities. A Synodal document must take the current cultural realities and differences properly into account. Especially when it deals with ambivalent or in the eyes of the Church problematic elements of modern cultural reality. Here a differentiated analysis and assessment is indispensable, to contribute to a proper and nuanced ecclesiastical-intercultural exchange. I would like to explain this with an example: the first chapter talks much about individualism. As a selfish trait it is undoubtedly a great danger to the lives of people. It should however not be confused with the individuality of people. Every single human being is uniquely and wonderfully made God and deserves esteem and protection of the dignity of his person. Our text speaks frequently about individualism, but the positive signs of the times, arising from respect for the individuality of people, are little appreciated. If we do not perceive here in a differentiatied way, we also come to different assessments of our society and subsequently different pastoral recommendations. Our circle asks not to succumb to an overvaluation of the rather pessimistic perception of our society. Lastly: There is a double problem regarding the translation, that of the literal translation of the Italian text and that of the cultural translation of the content. The German translation is relatively true to the Italian text, but this often makes the German text difficult to understand. The reason for this may be found in the overly long sentences, where the German prefers shorter sentences. The nested style is also bothersome. Here too, shorter sentences and a better structure of the contents is to be preferred. The translation of the final text should ensure a good style, pleasant readability and clear structure. The translation should not be interlinear, but mutatis mutandis. In creating the text, it should be ensured that the ecclesiastical and theological position are not only understood internally, but are accessible also in a secular environment. This calls for a “cultural translation”, as well as an inculturation. From this follows the question if, in editing the joint document, a negatively confining and normatively judgemental language prevails (forensic style) or a postivie language which unfolds the Christian position, which then implicitly addresses what position are incompatible with Christianity. That also presupposes the willingness (cf. Gaudium et spes) to pick up positive developments in society. Perhaps we need a sort of “hermeneutic of evangelisation” for the overall general style, which considers the topic “in the light of the Gospel”. We are looking forward to further fraternal labour together and thank all for the many efforts to achieve a unanimous course and conclusion to the Synod. In short, positive language, emphasis on the beauty and value of marriage and family life, and a nuanced relation with modern society. I am very much in favour of the first two points, while the third point requires a solid basis in the faith and the doctrine of the Church. Only if the Church is true to herself can she relate properly to society. As a final comment, many have noticed the criticism against the Instrumentum laboris, but as Cardinal Luis Antonio Tagle said in today’s press conference, that document is intended to be sacrificed for the final document that is to be drafted out of the suggestions made by the smaller groups. The Scandinavian bishops, who form one bishops’ conference spread over five countries, recently met to elect a new president. After ten years, Bishop Anders Arborelius steps down, and he is succeeded by the bishop of Copenhagen, Czeslaw Kozon. He had already been serving as vice-president, a function Bishop Arborelius now takes over in a game of musical Church chairs. 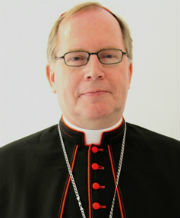 The third member of the standing council of the conference is Bishop Teemu Sippo of Helsinki. 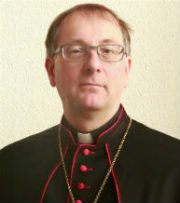 Other members of the conference are Bishop Pétur Bürcher, whose resignation remains pending, Bishop Bernt Eidsvig of Oslo and Bishop Berislav Grgic of Tromsø. Usually, a bishops’ conference is headed by the metropolitan archbishop of the corresponding Church province (although there are exceptions, and the bishops are not bound by law to elect the metropolitan as president), but since the Scandinavian dioceses do not form a Church province – as there is no metropolitan archbishop – their presidency is not bound by expectation or tradition. That said, the presidency of the Nordic bishops’ conference has never been held by the bishop of Copenhagen. In fact, since its establishment in 1970, the presidency has alternated between Oslo and Helsinki, with Stockholm bookmarking the run until now.